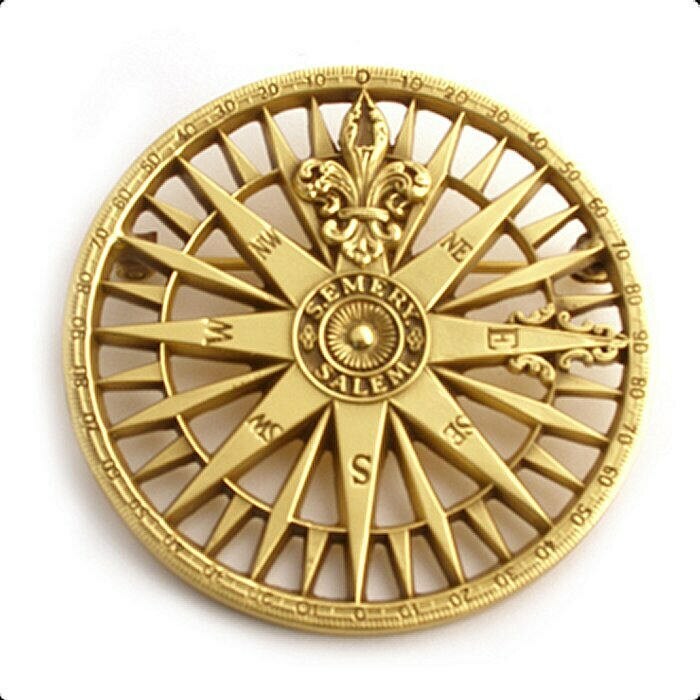 Certain traditional motifs constantly recur in the design and decoration of navigational instruments, such as the fleur-de-lis of the compass rose. Samuel Emery (1787-1882) was Salem, Massachusetts’ foremost navigational instrument dealer between 1809 and 1868. Aside from selling these instruments, he also made compasses. The Peabody Essex Museum has the original copper plate that Samuel Emery used for printing his compass rose. Materials: Pewter with antique gold finish. Bar Pin and Bail on the back to wear as pendant. 32" faux leather cord included.